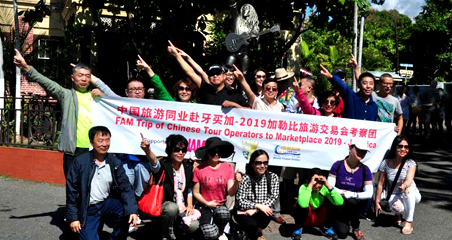 Jamaica Tourist Board, in collaboration with Jamaica Hotel and Tourist Association, hosted over 20 tour agents from China on the Fam Trip 2019. 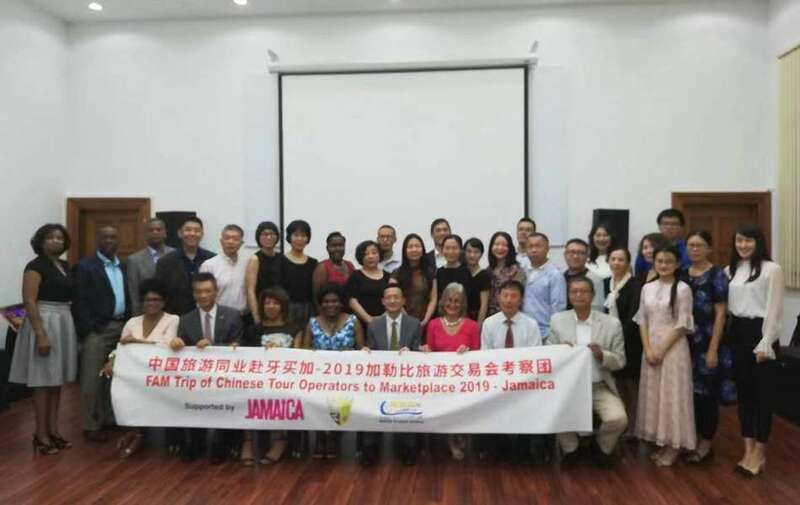 This Fam trip, with the assistance of World Travel Online, is to inform participants about rich resources in Jamaica, as well as expand mutual contacts and exchange through the upcoming Caribbean Travel Marketplace and China-Caribbean Tourism Forum. knowing better about Jamaica when communicating with officials. 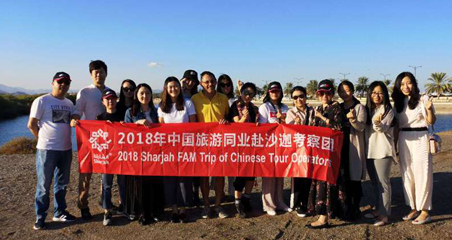 China - Caribbean Tourism Forum will be kicked off on 1 February. 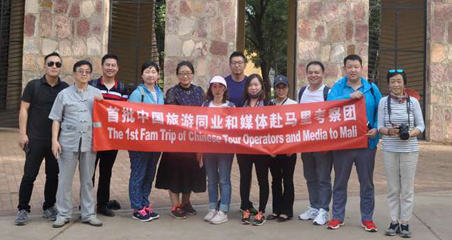 It not only provides an important platform for Chinese buyers and service providers in the Caribbean to have a better understanding of each other, but also educate Chinese tour agencies and allow them to increase their ability to sell the tourism products in the Caribbean. 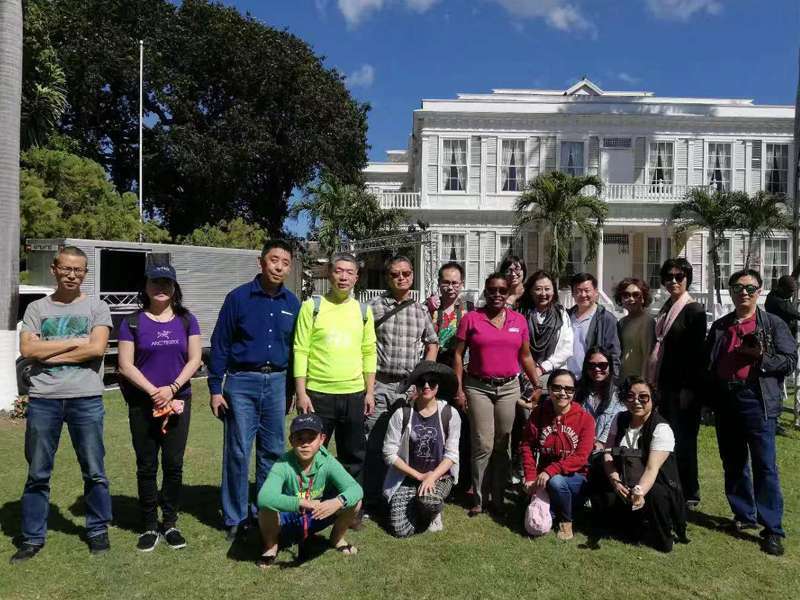 Devon House, one of the landmarks in Jamaica, offered an opportunity for the delegation to know Jamaica’s history. 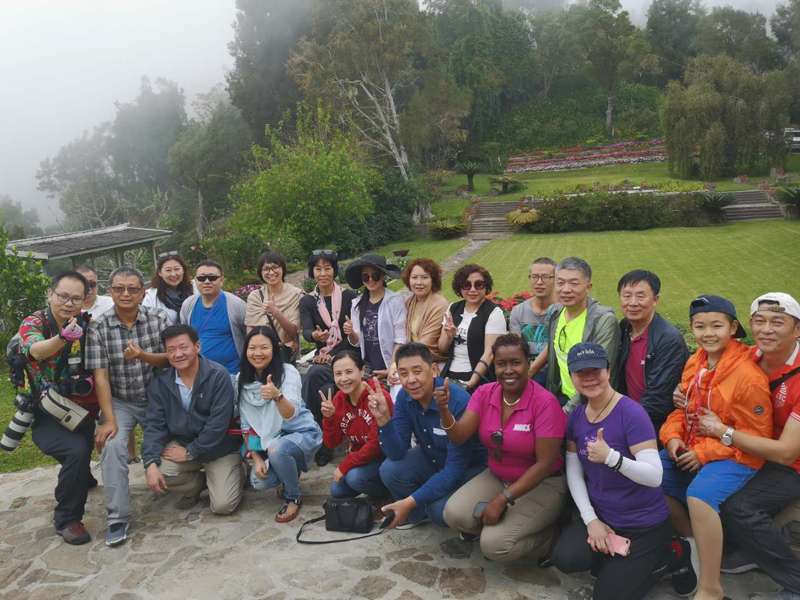 When the delegation climbed up to the Blue Mountain, they were amazed by the astonishing view at the top. During the trip, the delegation would visit some highlights of Jamaica, such as Bob Marley Museum, GoldenEye, Dunn's River Falls, and Half Moon Resort.